Poonam M Vaghela Assistant Professor, Department of Anaesthesia, GMERS Medical College, Gandhinagar, Gujarat, India. Madhuri Sureshbhai Vyas MD, Anaesthesia, Sola road, Naranpura, Ahmedabad. 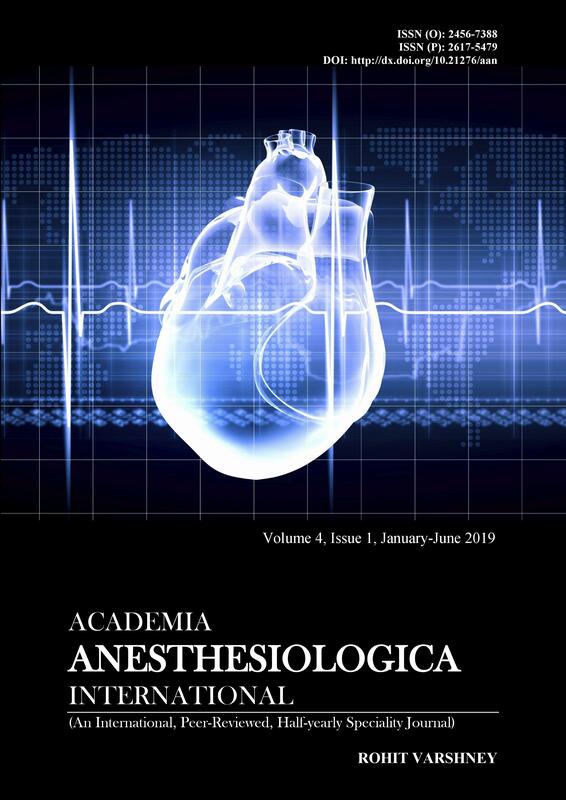 Background: Shivering after spinal anesthesia is a common complication and can occur in as many as 40%-70% of patients after regional anesthesia. Present study was done with an aim to assess and evaluate the effectiveness of prophylactic use of intravenous (IV) ketamine, dexmedetomidine, and tramadol for prevention of shivering after spinal anesthesia. Subjects and Methods: Present study was conducted at tertiary care institute of Gujarat, India. The study was carried out in 160 patients and the participants were randomized into four groups of 40 patients each as Group A ‑ patients receiving ketamine 0.5 mg/kg intravenous (IV) diluted in 10 mL of normal saline (NS) given as IV infusion over 10 min Group B ‑ patients receiving tramadol 0.5 mg/kg diluted in 10 mL of NS given as IV infusion over 10 min, Group C ‑ patients receiving dexmedetomidine 0.5 mcg/kg diluted in 10 mL of NS given as IV infusion over 10 min, Group D ‑ patients receiving 10 mL of NS given as IV infusion over 10 min. Results: There was no statistically significant difference among mean age, gender, and the duration of surgery. There was statistically significant difference among the four groups, when overall shivering grades were compared. The overall sedation score, when compared among four groups was statistically significant. Conclusion: Dexmedetomidine is effective and comparably better than tramadol or ketamine in preventing shivering after spinal anesthesia. Apart from preventing shivering, dexmedetomidine offers other advantages in the form of sedation without any respiratory depression. However, with its use a watch should be kept on the fall hemodynamic parameters.